The Chinese artist Ai Weiwei is internationally renowned for work that defies the distinction between art and activism. 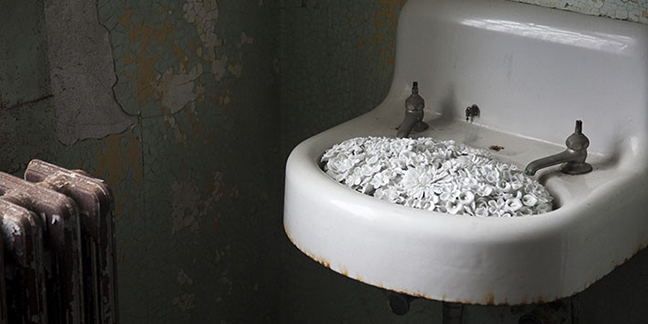 In this exhibition of new works created specifically for Alcatraz, Ai responds to the island’s layered legacy as a 19th-century military fortress, a notorious federal penitentiary, a site of Native American heritage and protest, and now one of America’s most visited national parks. 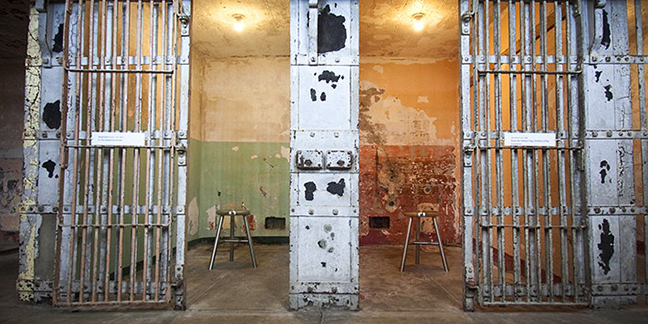 Revealing new perspectives on Alcatraz, the exhibition raises questions about freedom of expression and human rights that resonate far beyond this particular place. 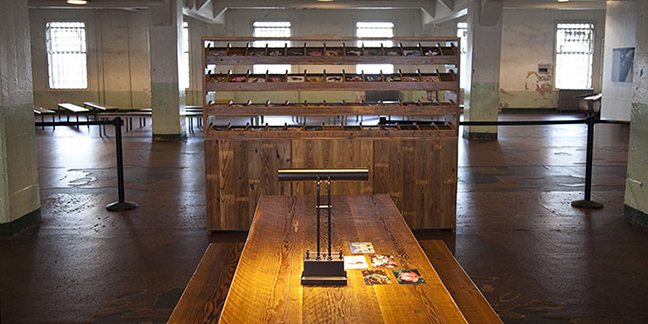 Ai’s sculpture, sound and mixed-media installations occupy four locations in the former prison: the New Industries Building; a group of cells in A Block; the Hospital; and the Dining Hall. @Large turns Alcatraz into a space for dialogue about how we define liberty and justice, individual rights and personal responsibility. The artworks directly and imaginatively address the situation of people around the world who have been deprived of their freedom for speaking out about their beliefs – people like Ai himself.